Another day, another match – and 20 year old footballers complain of crowded schedules! As before, an official report has the important details, but once again we found generous hosts, and I think rather more the style of game we wanted. Also, there can’t have been many days when the London Saints scored more than the entire England team. What’s more, I had the privilege of facing a West Indian bowler named Sobers! 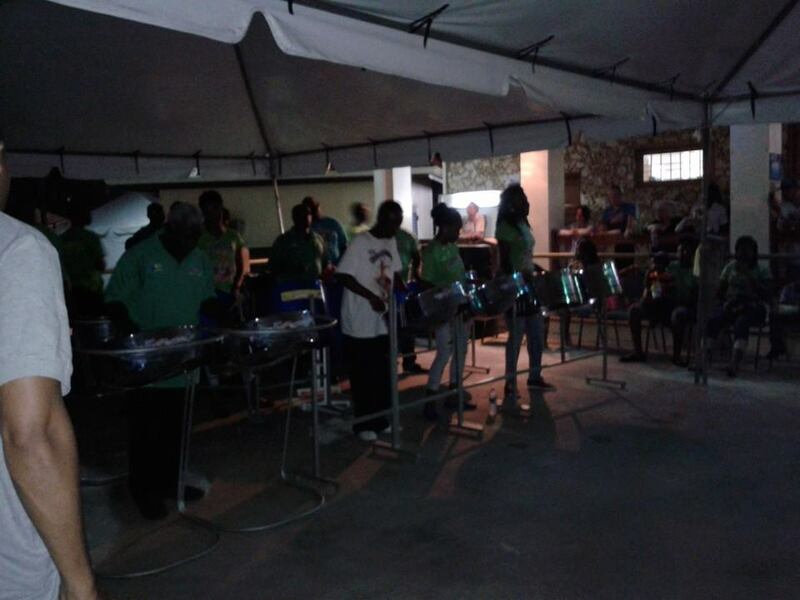 Evening entertainment was taken up by a visit to ‘Sunday School,’ a legendary Tobago street party, which apparently begins a bit touristy and only warms up at 11 p.m. when the steel band is replaced by sound systems. Our transport home was at 11:30! Certainly for our period there, the majority of complexions were pasty white (or beetroot red for those who’ve been over for a few days), but things were starting to change by the time we pushed off.